OOC: Mind if I join in late? Spartan 182 pushed herself back to her feet after placing a wounded Marine onto a cot. Plasma fire had burned off his forearm, and 182 luckily tied on a tourniquet just above what used to be his elbow before he bled out. Now, unconscious, the Marine looked somewhat at peace. As if he were already gone. Lily saluted him and turned back to the mayhem of the room. Lily heard the sounds of battle outside, and the Marines in the facility became instantly on edge. Immediately pulled out her assault rifle. She was running low on Ammo, but had a shotgun strapped over her shoulder with plenty of buckshot. Striding out of the med. center, she ran double-time to a fellow Spartan. "Need some help?" She asked sarcastically as she handed him her asssault rifle, curiously eyeing the energy sword in his hands. "thanks i left my assault rifle in the base but for some reason not the ammo" he ran into the base assault rifle in one hand and energy sword in the other slowly moving to the armory and checking behind every corner he saw until he was really close to it. once he got there he saw the burned remaints of his rifle. "dang it i moded that to be twice as strong!" he said kicking it. his radar was jammed so he couldnt see anyone behind him. Concealed in a shadowy corner and his active camouflage, Zuka eyed the two demons suspiciously.He noticed that they were both armed for close quarters combat. One, the female he had surmised by her physique, was armed with a primitive shotgun. A midnight black demon wielding a human rifle and an energy sword accompanied her. Shifting stealthily from his position, Zuka paced a full circle around the two unsuspecting warriors. "Kill them." He barked into his radio. A split second later, plasma weapons hummed into life and needlers spat their payloads of explosive shards through the air, crisscrossing each other in a strangely beautiful pattern. Staying concealed, Zuka watched as the demons' shields flare. he jumped behind the wall of the armory shields nearly down." of course." he said. he had a way for seeing active camo people. he shot at one of them and disabled there camo. he jumped back behind cover waiting to see what they did. Lily cursed loudly as her audible alarm sounded, and she ducked and rolled behind the same wall as 342. Taking a knee, she turned back around the corner, taking only one or two careful shots at a time. Three Elites fell, one wounded, the other two without craniums. Lily ribboned a Jackal's arm, rendering him useless. Then, a Hunter rounded the corner. She froze, assessing his razor sharp spines and thick armor. Reaching for her sidearm, Lily assured that it was loaded with armor piercing bullets. She would have to be precise. Being an excellent sniper, Lily could sight in to places that most other Spartans couldn't. Taking cautious aim, Lily fired at the skin visible between one of the spines and the armor of the Hunter. He turned sharply, the bullet only impaling itself on the spine. Enraged, the Hunter charged. Lily took two more careful shots before the bullet charged through. The Hunter was wounded, but not dead. And his bond brother looked mighty pissed. Seeing his troops fail in their ambush, Zuka slid away into the shadows. He would have to get another shot at the demons later. OOC: Sorry guys. Been busy with writing. Chapter 1 is ready to publish! Droa stood by the sidelines. He decided it was time to move. He would deploy to the city the humans dubbed 'New Alexandria'. Word was a large group of Spartans were active. Spartan 043 was looking around checking all the wounded. "All thats wounded is the marines.... Spartan 034 go take care of them. Spartan 033 take watch over the commander. Spartan 177 if there are any elites blow there heads off. Spartan 144 your with me.... we are going to New Alexandria to find more spartans." Spartan 043 and 144 got on the falcon and flew to New Alexandria. "Damn, I'm starting to think this invasion will never end." Spartan E107 says as he sits at the end of the wreaked pelican. * motion tracker fills with 12 red dots* "Alexis, What class are these inbound covenants?" ,I ask. "Mostly commando class but a few jump jets" ,says the AI. I started to think about what to do about this but end up with the same answer...... Kill them. Before they came close enough to see me, I Used my Cloaking armor ability and pick up a sword from a near by elite. Within a second of disappearing an armored hand reaches up from the rear of the pelican and pulls its self up.......... It was a Field Officer elite. I immediately cut its head off and kick the body off and stick a plasma grenade to its carcass as it fell. 2 seconds go by and i hear an elite yell and three grunts start to panic then *boom* 5 dots disappear off of the radar. i put the sword away and grabbed a rocket launcher and steped to the edge of the pelican and shot down and rolled back...and i heard several jackals two grunts and a hunter yelp in surprise as the rocket nailed the hunter in the head and kills every thing around it. As the falcon landed spartan 177 and 043 jumped out and scanned the sector. Nothing... All that was there was a bunch of dead marines and civilians maybe a few spartan III's the newer models but less officant. After a while we ran into a group of marines a few civilians and a squad of spartan III's. " Hey spartans whos in charge here." said spartan 043. " I am im spartan 459 reporting for duty sir." said spartan 459. " Take all these civilians and marines and wait for a pelican to arive." 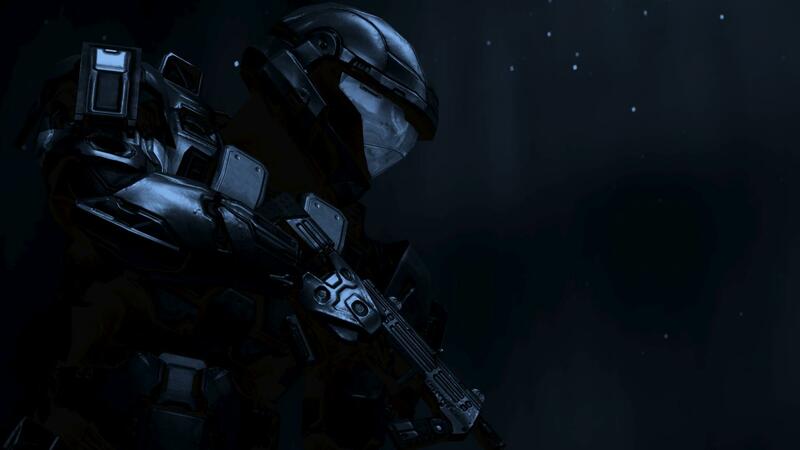 * spartan 043 activated his com link* " Spartan E107 get your pelican down here ASAP. We found survivers..."
"OK, Ill try to get her started but no guarantees." Says E107. The metal wedge flies about 100 feet before impaling a wailing grunt. As spartan 043 and 144 started sprinting 20 red dots appeared on the motion tracker "take cover" whispered 043. As a general and minors by we made a break for it but found ourselves ran into 4 hunters a field mashall and his 5 zealots. "Fire and forget! Fire and forget!" Screamed 043. Spartan 144 jumped up and spashed an elite in the face with his shotgun and fired it at another on his right. 043 sprinted to the hunter picked him up and threw him at the other 3 killing 2 of them. 2 more to go... then everything went silent. Spartan 043 and 144 dark. "Spartan 043 come in... spartan 043 do you read me!" Said 034. "144 come in... Damn we lost them... Put them as MIA." said 034.